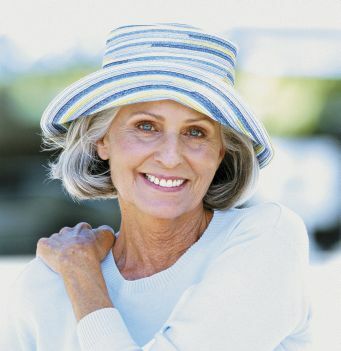 The natural transition of a woman's body during menopause creates the need for a different nutritional balance. Hormonal changes in many women cause a number of different symptoms such as hot flashes, night sweats, irritability, hormonal imbalance, mood swings, low energy, changes in sleep pattern, etc. Dong Quai and BioPerine® for added absorption! and reduce symptoms of menopause. 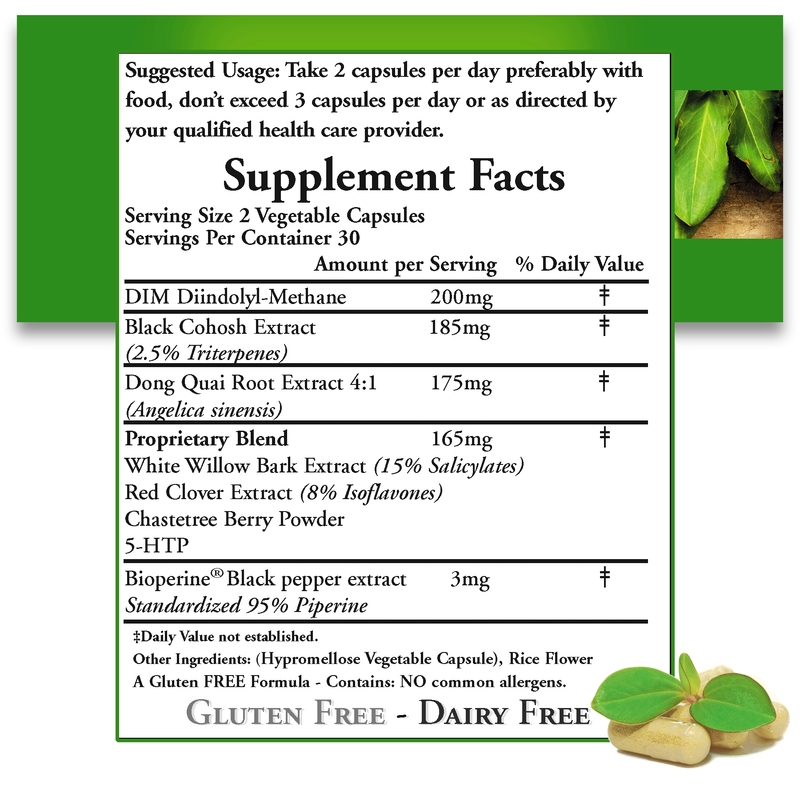 DIM (Diindolylmethane) and Dong Quai Root are two of nature’s most powerful sources for balancing estrogen levels. This combination helps support the reduction of Night Sweats, Hot Flashes, Sexual Discomfort and many other symptoms associated with menopause. Plus, BioPerine® is a patented extract obtained from black pepper fruits (Piper nigrum) standardized to a minimum to 95% Piperine. It is used to assist in the enhancement of absorption of other nutrients by up to 30% or more, helping the DIM and Dong Quai to work more effectively in your body. DIM (Diindolyl-Methane) is a natural extract from one of nature's healthiest foods, the cruciferous vegetable (such as cauliflower, cabbage and broccoli). DIM plus Dong Quai promotes natural hormone balance by aiding with the metabolism of excess forms of estrogen. When estrogen balance is restored, this helps with the reduction of most menopause symptoms, as well as aiding with weight loss, high energy and the promotion of healthy breast tissue. Essential Step Menopause also contains 5 other herbs and botanicals to help soothe and reduce symptoms of menopause, including black cohosh extract, white willow bark and 5-HTP. All of our products are proudly made in the USA in an FDA, GMP-certified registered facility, fully guaranteed for purity & potency. Containing no Artificial Colors, Flavors or Preservatives, our products are of the highest quality and effectiveness. Our proprietary blend of herbal and nutritional compounds is designed to support the body through this natural change in life.